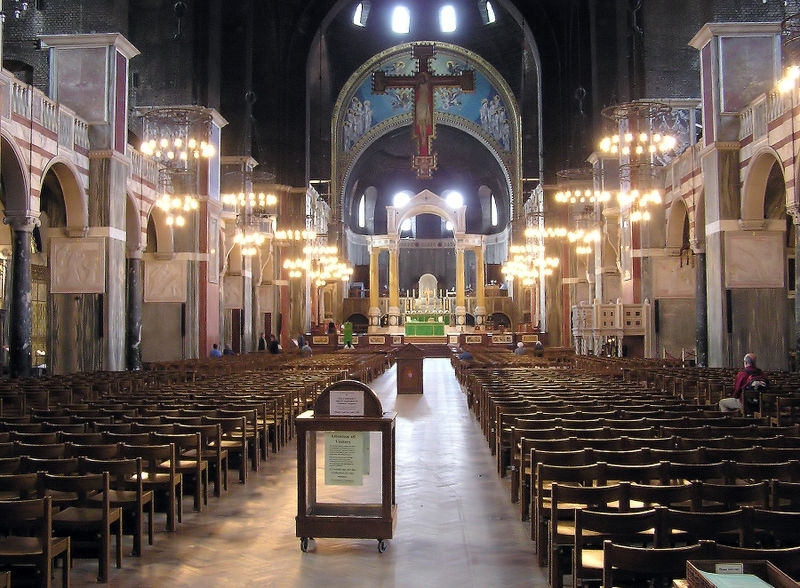 Westminster Cathedral was originally built in 1903 to a John Francis Bentley design and internal works and decorating have been ongoing ever since, which included the addition of three chandeliers in the well next to the Cathedral’s sanctuary that we designed and manufactured. We produced a prototype several years ago in anticipation of the Cathedral raising the funds needed to finance this project. So when the time was right, it was a straightforward process to turn the prototype into a stunning black light fitting comprising four lights suspended on four way twisted rod suspensions with polished copper shades. While it was based on Bentley’s original design, the new fitting integrated the requirements of current electrical regulations.